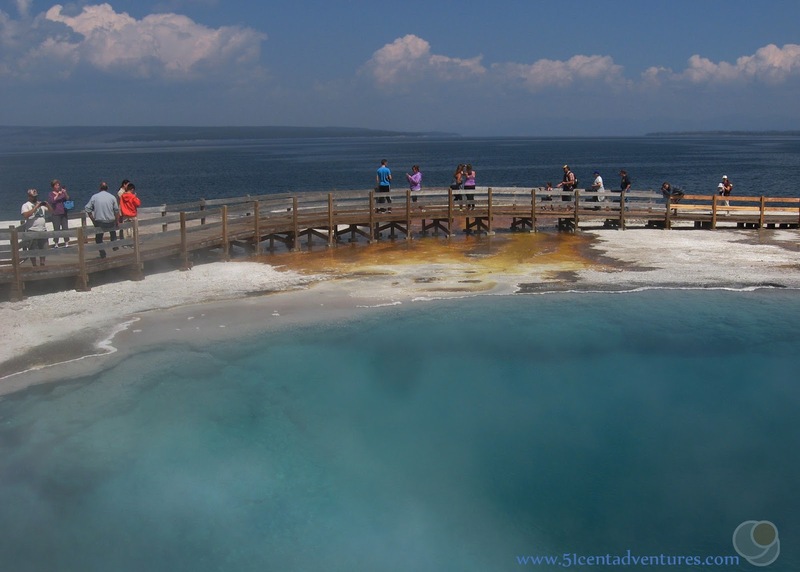 This geyser area has many beautiful hot spring pools that are located on the shores of Lake Yellowstone. 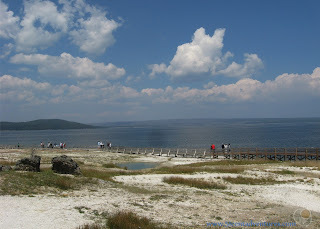 A boardwalk takes you next to the hot springs and the lake. 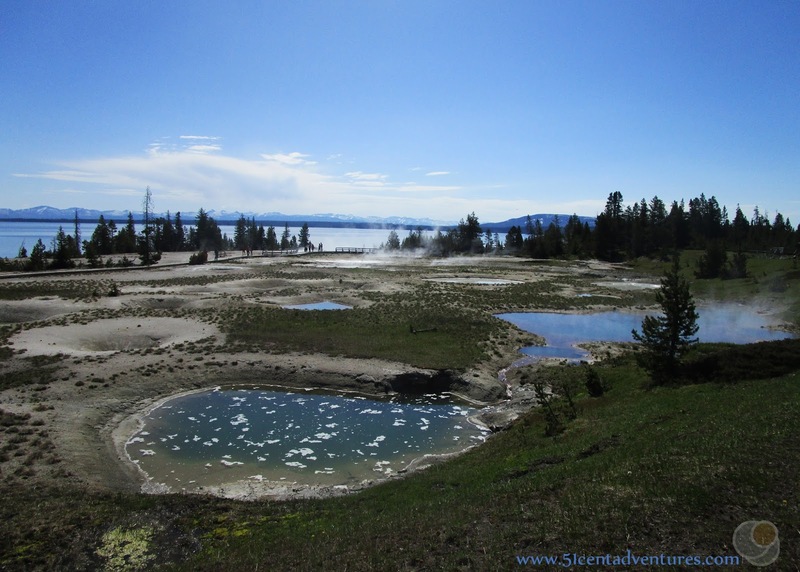 This is one of the prettiest geyser basins in the park. Location: West Thumb is located at the bottom of the Lower Loop of the Grand Loop Road. It is less than a mile from the intersection of the Grand Loop Road and the South Entrance Road. Hiking Distance and Time: 1 mile on a boardwalk. Plan for about 45 minutes to an hour. Operating Seasons and Hours: Open May through October. In the summer of 2017 I received a job with Xanterra Parks and Resorts in Yellowstone National Park. I moved there with my husband and our four young children. We lived in a 25 foot RV and spent all our free time exploring the park. This is the 17th of many posts that I will write about specific features within Yellowstone National Park. At first these aren't going to be in any particular order, but in a few months I'll start grouping them into lists. 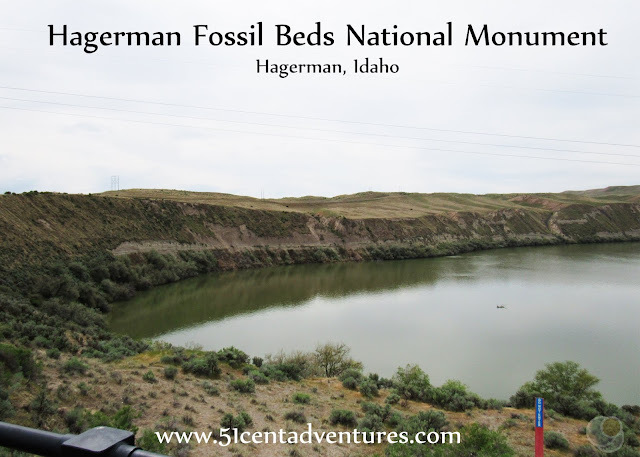 This one would probably fit into a list such as under-rated areas of the park. Up until last summer I always thought that the West Thumb area of Yellowstone was just a lake overlook area. I had no idea it was an active thermal area. Because of my misunderstanding I never bothered to visit West Thumb. 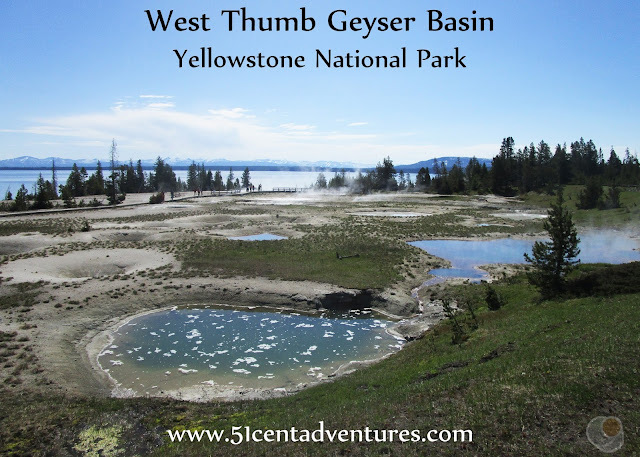 On every visit to Yellowstone I drove by the sign for West Thumb and thought or said, "that's just a lake area, it's not worth our time." During our summer in Yellowstone I started to pay attention to pictures taken in West Thumb. I could tell that there were some pretty hot springs there. 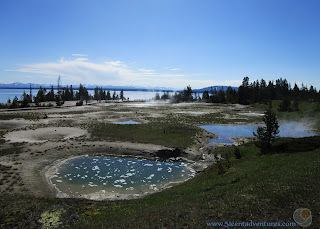 I also realized that "geyser area" was part of the official name for the area. I decided that I needed to put West Thumb onto my list of places we needed to visit. My husband took our kids to West Thumb once while I was at work, but I didn't have a chance to visit West Thumb until our time in Yellowstone was almost over. 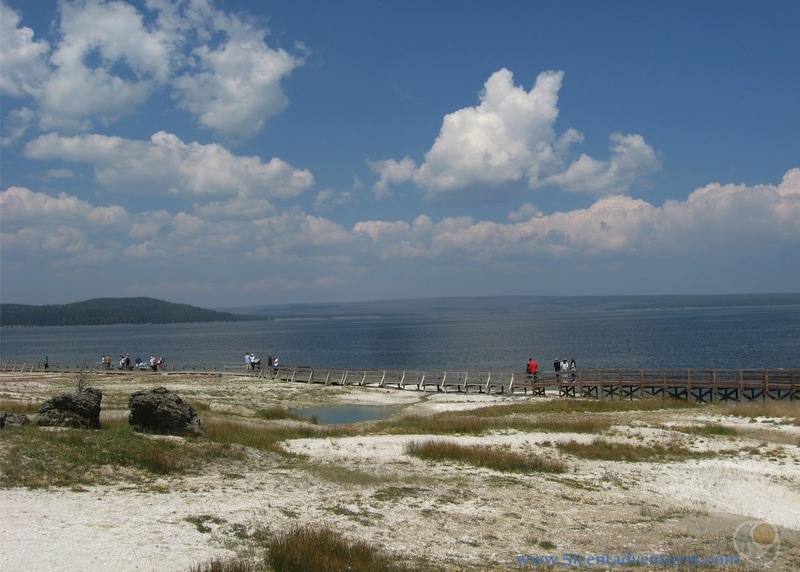 We drove down to West Thumb after our boat ride on Yellowstone Lake. We parked in the parking lot and followed a trail to the boardwalk. 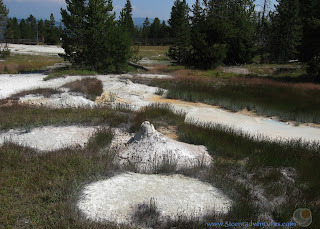 As soon as we came out of the trees and got a good view of the geyser basin I was in love. I couldn't believe that I'd passed this area so many times. There were beautiful, blue hot springs in the foreground and the brilliantly blue water of Yellowstone Lake in the background. 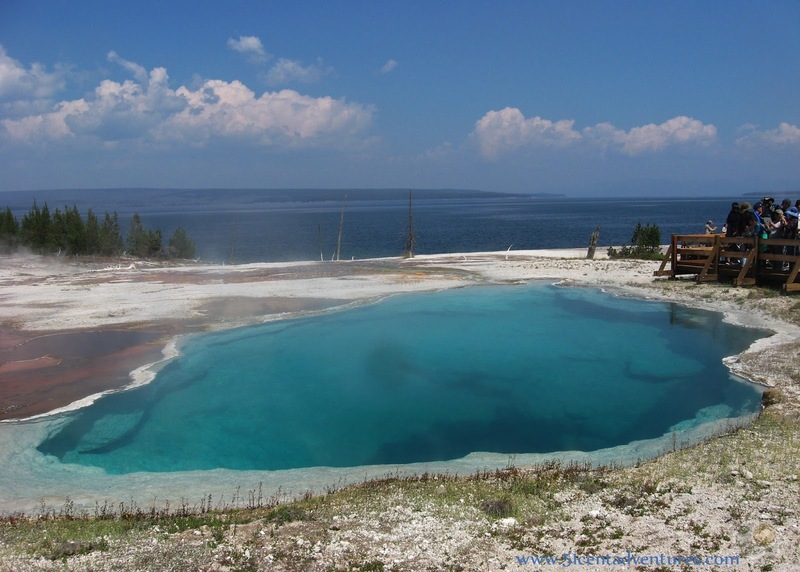 No other geyser basin in the park has views like this. There were at least 10 pools with stunning colors. Here is Abyss Pool. I couldn't believe how close some of the hot springs were to the lake. 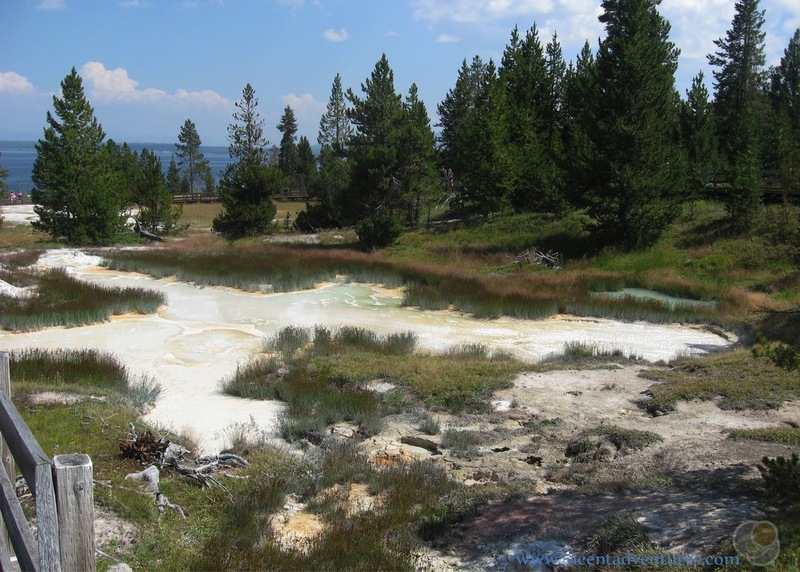 Most of the hot springs in the park are in areas that feel hot and arid during the summer. Thanks to the lake this area felt much cooler even through this was a hot August afternoon. The boardwalk runs right along the shore of the lake. There are a lot of places to view the lake in the park, but this is one of the only places with a boardwalk on the shore. Pay attention to the water as you walk. You'll be able to see three hot spring cones in the water. Depending on the water levels some of the cones maybe under water. The boardwalk also passes through a paint pot area. During our visit in August there were still some wet areas. But other areas were dry. My son loved the paint pots and always called them "Paint Pops." I'm really sorry that we didn't have time to come back to West Thumb again. I'll definitely make time to visit this area on future visits to the park. 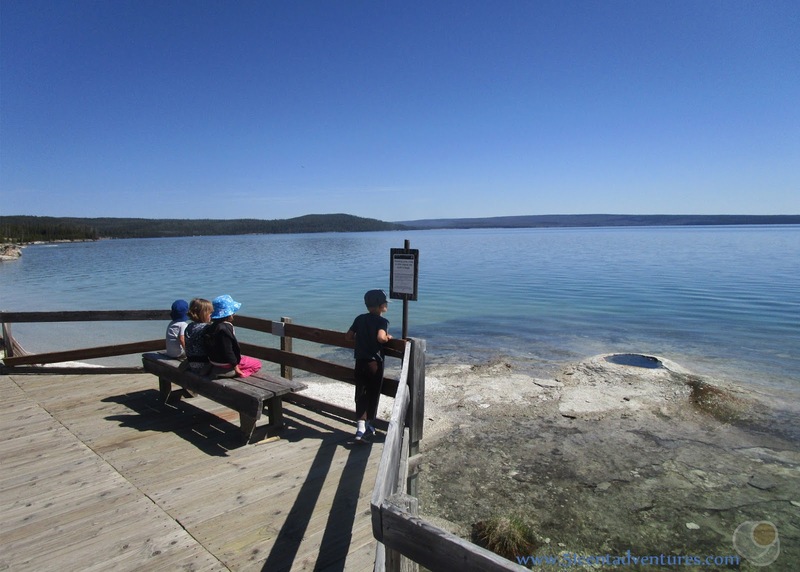 Recommendation: West Thumb is a great place to view Yellowstone Lake as well as thermal features. While it doesn't have any active geysers or a stand-out feature, this area is beautiful and worth a visit. Directions: West Thumb is located less than a mile east of the intersection of the Lower Loop of the Grand Loop Road and the South Entrance Road. Places Nearby: Grant Village is just a few miles south of West Thumb.